We have a vast selection of BERG trampolines which are available to purchase in our online store. Some of our BERG trampolines are in-ground, they offer the strongest and safest materials for better performance and duration. Whereas others have built-in safety enclosures for your children's safety. Our BERG trampoline range is suitable for any size garden. Your children can enjoy hours of fun when bouncing on our BERG trampolines. Also, it is an excellent way for them to get some exercise in or outdoors. ‘Exercise through Play' is a motto, this is because we believe that every child should be exercising as well as staying healthy and fit. Luckily for you, we have BERG trampolines that come in various shapes and sizes. Choose from 11ft up to 16ft and the shapes include rectangular, oval and circular. So don't miss out on our extensive range of BERG trampolines as you won't find a better quality of them anywhere else. Shop at Trampolines Online today! All of our BERG trampolines are for sale and compared to our competitors, you can save 15% of your money when buying a trampoline from us. So have a browse on this page to view our exclusive range of BERG trampolines. 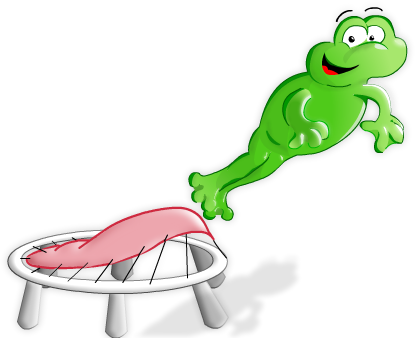 If you would like to see more of our other manufactured trampolines such as our Plum trampolines or our Telstar trampolines, click on the links. Here at Trampolines Online, we aim to please our customer through our trampolines and we believe that our BERG trampolines are ideal for you and your children to play on, no matter what the occasion is. If you would like to purchase one of our BERG trampolines today, please contact us on 0333 3660062 or you can drop us an email at sales@trampolinesonline.co.uk and one of our friendly team member will get back to you as soon as possible.